Kris Bryany, May’s Rookie of the Month, is living up his extraordinary hype after batting .265 and belting out seven home runs through the month. The hard luck Cubs have remained within striking distance of first place throughout this season, behind this power hitting. For five important reasons, even the most cynical Cubs fan will admit that Kris Bryant is the real deal. Third base demands cat quick reflexes to field line drives and a rocket arm to make the play at first. In college, Kris Bryant did put in spot duty at pitcher, and threw fastballs clocked in at above 90 mph. For his major league debut, Bryant flashed a bit of leather, in turning a double play, snagging a liner, and making a diving catch. As a rookie, Kris Bryant has converted 128 chances into 28 put outs and 93 assists, for a .945 fielding percentage. Bryant, of course, was not exactly called up to the big leagues for his defense. The Cubs will be willing to accept marginal defense at third base, if this slugger stays true to form at the plate, and continues to crank out the offense. The Cubs might also position Bryant in the outfield to keep him in the lineup. When pressed, Kris Bryant does labor through a slight hitch in his throwing motion. To correct this issue, manager Joe Maddon has had Bryant practice fielding groundballs barehanded and firing outs to first, without patting his glove. With time Bryant will grow even more comfortable at third. Kris Bryant, like many sluggers, is an underrated base runner. Bryant is deceptively fast on the base paths and will help this Chicago ballclub to manufacture runs. After putting the ball in play, Kris Bryant always hustles to first base and will sometimes beat out the throw, on routine grounders. When hitting into the gaps, Bryant has proven to be an aggressive and effective base runner that is also capable of stretching out apparent singles into extra base hits. At 23 Bryant has already commanded the respect of his opponents, and pitching staffs have been throwing up and in at Bryant to jam his long arms, while also mixing in off-speed stuff to confuse the slugger. A patient batter, Bryant will continue to draw many walks, as he has already accounted for 31 bases on balls and a .392 on base percentage through this young season. Kris Bryant stands six-foot-five and weighs in at a chiseled 215 pounds. At third base, Bryant maintains a physical profile that is quite similar to that of Chipper Jones. Jones, of course, will be a likely first ballot Hall of Famer, after batting .303 while also bashing 2,726 hits, 468 homers, and 1623 RBI through 19 seasons in Atlanta. Jones’s productive career should allay concerns that a lanky player can be productive at the hot corner, which demands cat quick reflexes. Beyond Jones, Kris Bryant has already been measured against the likes of Harmon Killebrew and Mike Schmidt at third base. Snake-bitten Cubs fans, of course, will quickly identify former top prospects Mark Prior, Kerry Wood, and Corey Patterson as flameouts, if not, outright busts. In Bryant, however, Chicago can remain assured that it will be set at third base for years to come. If anything, Kris Bryant may emerge as a lightweight version of Jim Thome, hailed for both his power and durability. 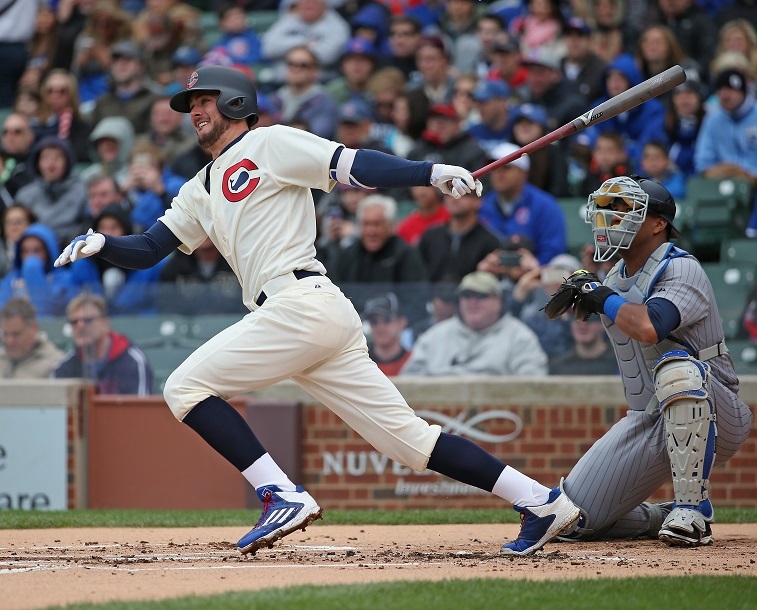 Kris Bryant is already notable for his otherworldly patience at the plate, which is critical for a slugger that will rarely see a fastball right down the middle of the strike zone. According to Mike Bryant, proud father and youth hitting coach, Kris Bryant has only seen one grooved and hittable pitch through the first month of the regular season. Mike Bryant himself played two seasons within the Boston Red Sox farm system, before helping his son emulate Ted Williams’ approach in the box. For Bryant, patience at the plate will only accelerate his development, as he will quickly learn the tendencies and preferences of opposing pitchers. From there, Kris Bryant will be more likely to put the ball in play, instead of hacking away at breaking balls and striking out. He has already racked up 64 strikeouts through 180 at-bats, which is exceptionally high, even for a big slugger. 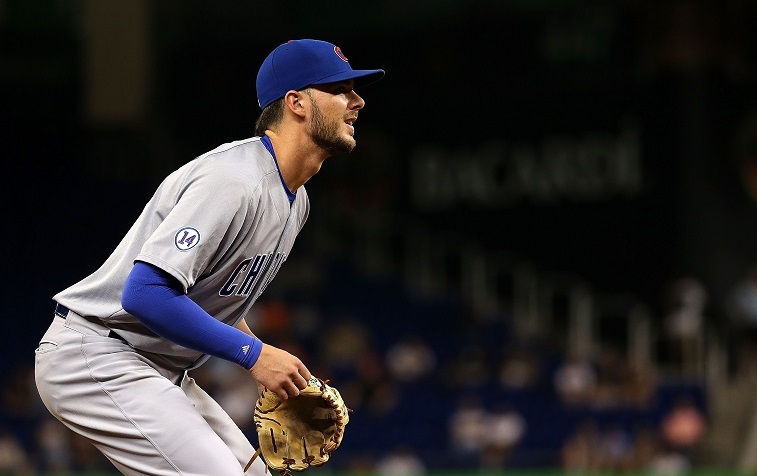 Going forward, Joe Maddon is likely to experiment with both Kris Bryant and Anthony Rizzo near the top of the order, before settling upon a more consistent lineup card. 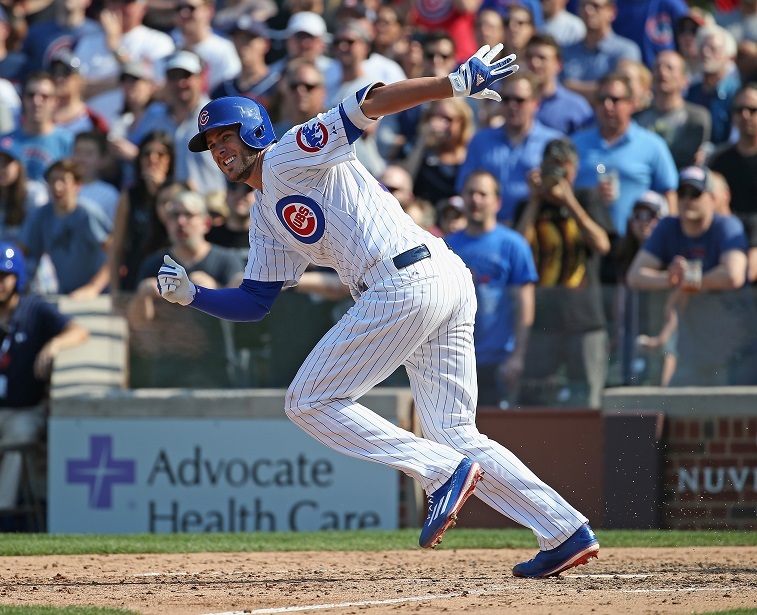 Bryant and Rizzo already make for a formidable one-two punch, and may easily drive starting pitch counts above 100, prior to the seventh inning stretch. With patience, Kris Bryant would then be leading an explosive offense free to tee off upon depleted pitching staffs. All is forgiven, with the long ball. 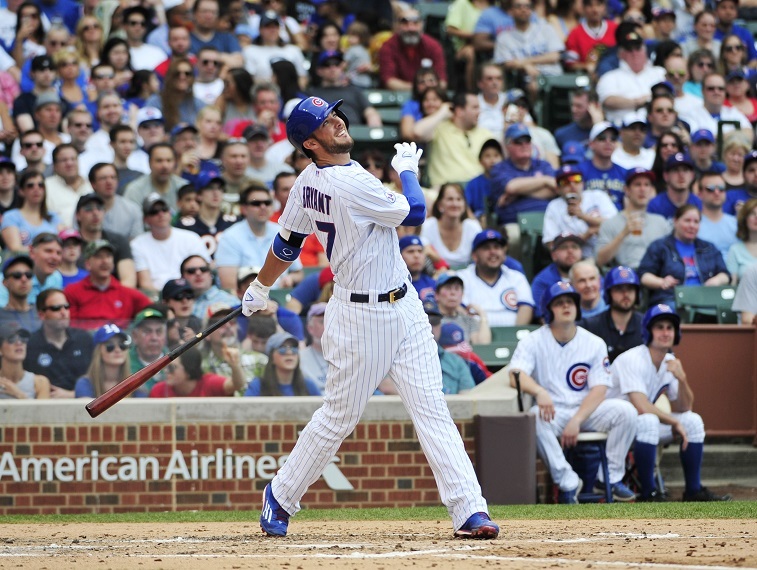 After a slow start, Kris Bryant has already launched seven home run jacks through 49 games and 180 at-bats. At this pace, Bryant will likely close out his rookie year with 25 home runs. With more experience, Kris Bryant does have the potential to knock between 30 and 40 shots out of the park each season. Power to both foul poles will generate instant offense. Bryant has already accounted for 34 runs batted in, and might even close out his rookie year with 100 RBI, especially if he were to catch fire through the backstretch of this season. Chicago Cubs fans, of course, will happily trade one strikeout per game, in exchange for watching Kris Bryant regularly blast the long ball out of Wrigley Field and onto Waveland Avenue. All statistics courtesy of Baseball Reference.